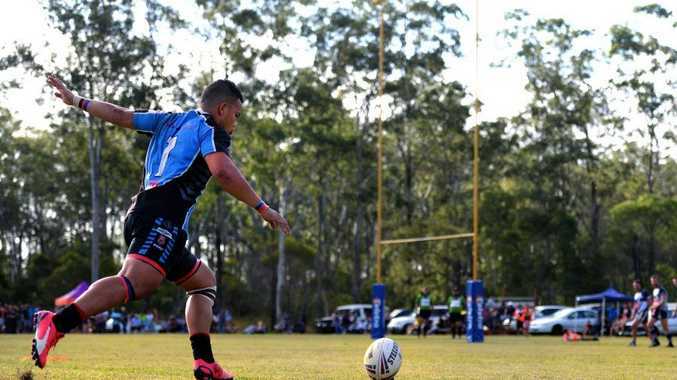 FROM the opening minute of the Northern Districts Rugby League grand final, the size and power of South Kolan gave them the advantage over Miriam Vale, and when players like Sekopi Tua were on fire the 50-14 result was just about a formality. The massive players for the Sharks charged hard onto the ball and it didn't take long for South Kolan to score. Despite being undersized across the field, Miriam Vale didn't take a backward step and fought until the end. Ben Walker felt the full force of South Kolan early in the game - in a brutal tackle, Walker suffered a gash to his forehead that caused him to leave the field for treatment. South Kolan coach Dean Akers praised the efforts of Tua, Sione Moi Moi, Peni Taukalau and Siteiti Tupou in both attack and defence for setting up the win. The quartet's performance overcame the fact South Kolan was reduced to 12 men from the 10-minute mark, and 10 men for 10 minutes, after Manu Halasima was sent from the ground after a fight broke out. For 10 minutes Moi Moi and Sosefa Tonga were in the sin bin, and Miriam Vale had its chances to score but was unable to get the ball to right side attack, which cost it any chance at the game. 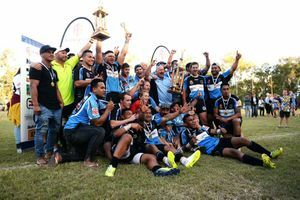 South Kolan captain Kurt De Silva had a long list of people to thank for helping him get his hands on the trophy and also praised his opposition. "Miriam Vale were good today; they gave it their all for the 80 minutes," De Silva said. "I had to thank our coaches for getting us on the park - some days we hated you because you made us work. "There was blood, there was sweat and there was vomit, but it was worth it. "And I'd like to thank our families who supported us when we trained and played throughout the year." Cox was one of the best for Miriam Vale, along with Steven Brooks. After the game, Cox congratulated the winners and said he was proud of the way his players stood up to South Kolan. "Hats off to South Kolan; been the best team all year," Cox said. "I just wish Avondale didn't beat you halfway through the season and you got a couple more (import players). "To my guys, I'm proud of the fact we are all local boys and we stuck together this year."